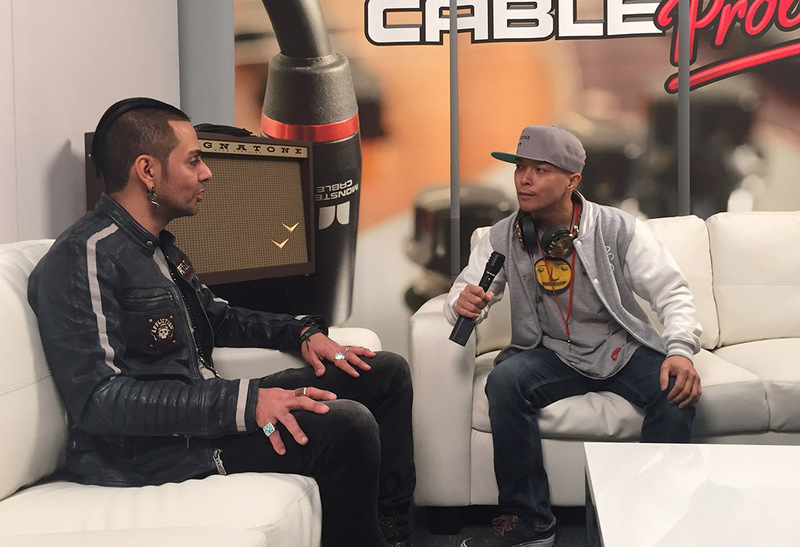 The NAMM show is held twice yearly as an opportunity for manufacturers to showcase new products to dealers and distributors. 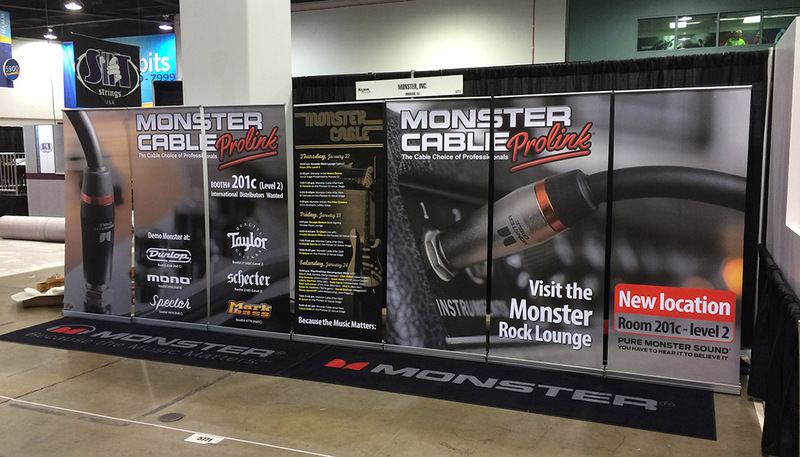 Monster Cable has been a big part of NAMM for over three decades showing the Prolink line of premium cables and power. 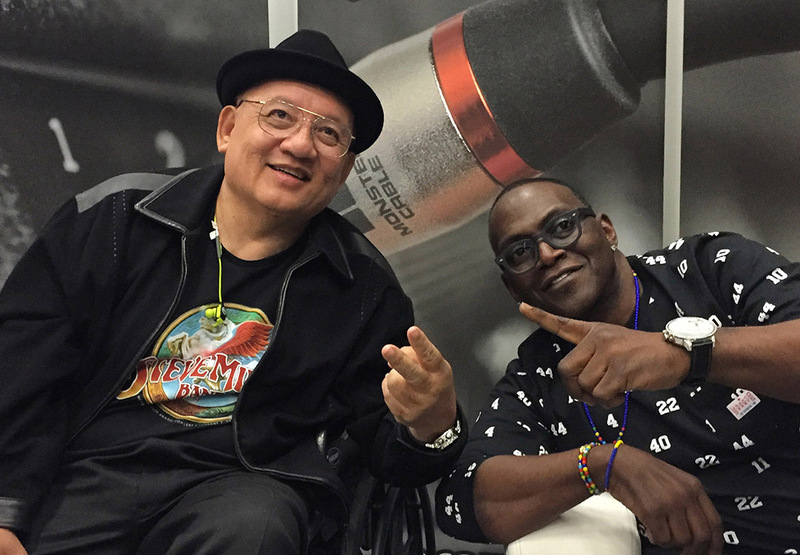 The show is a yearly reunion for owner Noel Lee and all the top artists, engineers, and producers who helped build the company. 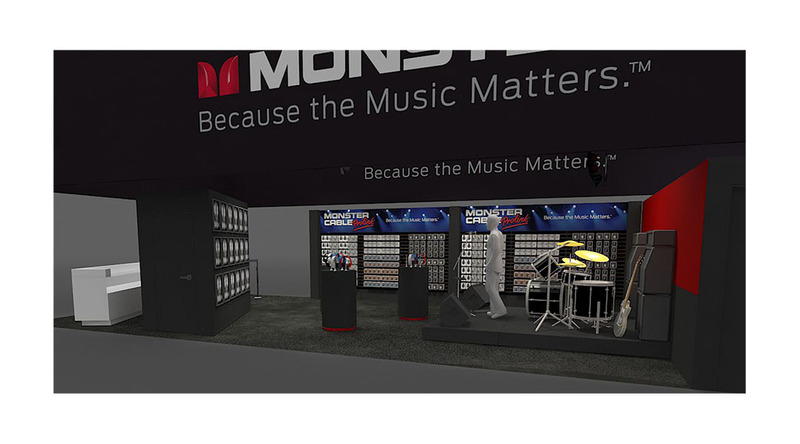 In 2015, Monster moved from the show floor to the mezzanine level of the Anaheim Convention Center and created the Monster Rock Lounge. 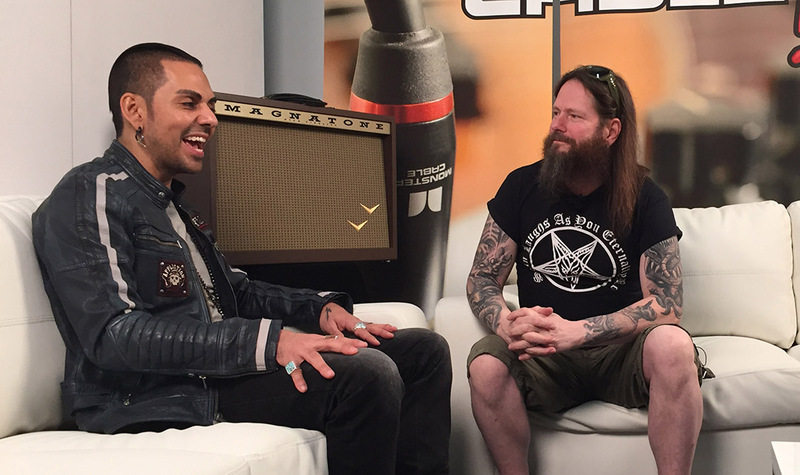 A larger space was needed to meet, greet, and capture content with all our customers and industry friends. The new space featured a large product demo area for the public and a private lounge area for meetings, interviews, and general carousing. 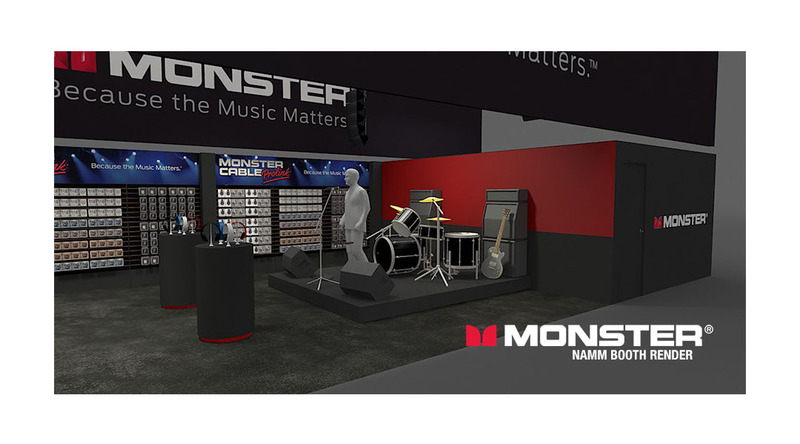 Up until 2014, Monster has been a dominant fixture on the hall floor at NAMM. The 20’x50′ booth draped in black looked like a pirate ship cutting through the fog of the show floor. Regular signings, live performances, and A-list visitors kept heavy traffic through our booth disrupting the show at every opportunity possible. 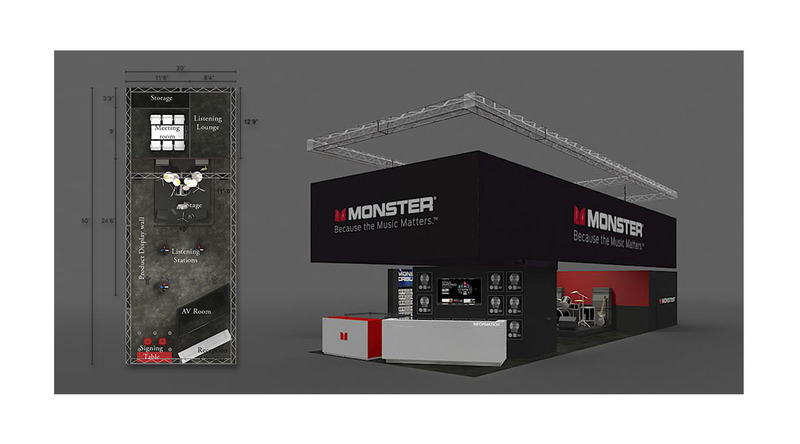 Special thanks go out to the Monster teams that have helped create these amazing events.